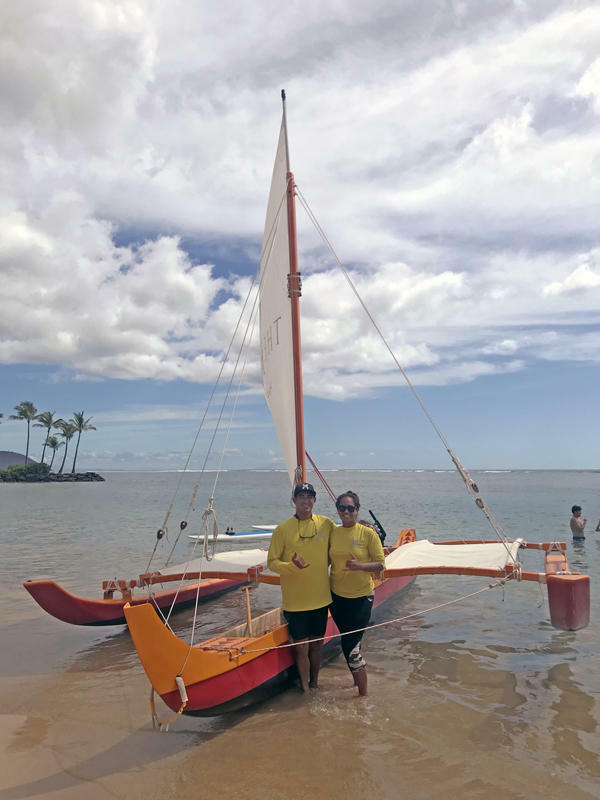 Austin Kino runs a sailing canoe tour company in Maunalua Bay. His company Holokino Hawaii is the latest tour operator in the state to be certified under the Hawaii Ecotourism Association's sustainable tourism certification program. 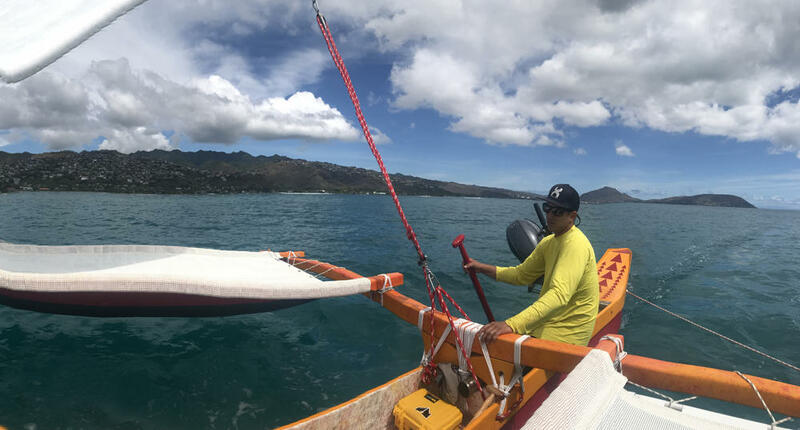 29-year-old Austin Kino pushes his sailing canoe off the beach fronting the Kāhala Hotel and into the waters of Maunalua Bay. His company Holokino Hawaiʻi offers guided historical tours of Oʻahu’s South Shore by canoe, but there are limits. 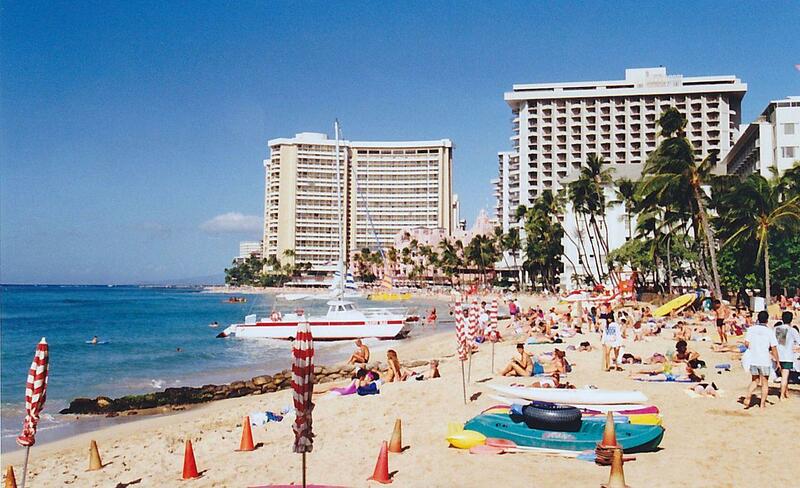 Right now the tide is low and he wants to avoid the shallow offshore reef system Maunalua Bay is known for. “We kind of are always going off of what nature is allowing us to do, which is kind of different from what concierges and tourists are used to,” says Kino. That could mean less profit, but for the Wailupe native it’s about more than just chasing the dollar. “If I was going to have a business that operated in my home that was commercial activity, I didn’t want to do it in a way that people before me,” says Kino. Kino comes from a new crop of entrepreneurs changing the culture of the tourism industry in Hawai’i – a change long advocated by the Hawai’i Ecotourism Association or HEA. Lauren Blickley is the association’s program manager. 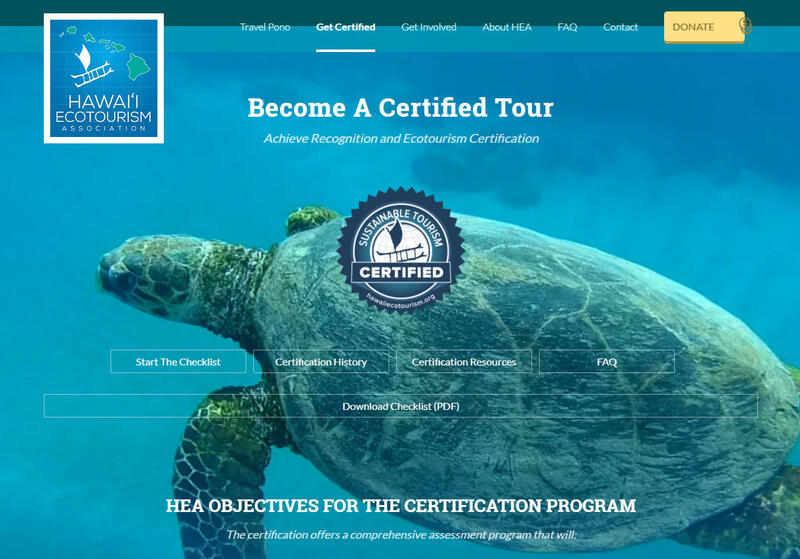 To ensure the industry wasn’t just consuming Hawai’i’s resources, HEA developed a sustainable tourism certification program – a rigorous checklist to ensure tour operators are positively impacting the environment, the culture, and the community. More than 50 tour operators statewide have received a stamp of approval under the Hawaii Ecotourism Association's Sustainable Tourism Certification Program. “We understand four star ratings for hotels. We see four stars for a movie. We don’t understand who gives it to them, but somehow we get it. But how do you know an operation is sustainable?” says Linda Cox, a UH Mānoa Professor who helped develop the HEA Sustainable Tourism Certification Program. Cox helped develop the program nearly two decades ago. She looked at similar models in Costa Rica and Australia, and continues to improve upon the program that she set up. The program has certified more than 50 tour operators under its program. Kino’s company is the latest to get the HEA stamp of approval. To become a certified tour operator under HEA, click here.